Buying BioShock also gets you BioShock Remastered. Want to know whats new in the Remaster? Click here! About the GameBioShock is a shooter unlike any you've ever played, loaded with weapons and tactics never seen. You'll have a complete arsenal at your disposal from simple revolvers to grenade launchers and chemical throwers, but you'll also be forced to genetically modify your DNA to create an even more deadly weapon: you. Injectable plasmids give you super human powers: blast electrical currents into water to electrocute multiple enemies, or freeze them solid and obliterate them with the swing of a wrench. Buying BioShock™ also gets you BioShock™ Remastered. Want to know whats new in the Remaster? Click here! If you somehow missed BioShock, BioShock 2 and BioShock Infinite they are all coming out soon in one remastered collection featuring some really impressive looking graphical updates you can see featured in the video embedded above. The trailer focuses more on the graphical updates to the original BioShock as I imagine there are few changes they made, if any, to BioShock Infinite. As 2K mentioned before if you own any of the aforementioned games you will be able to upgrade on Steam for free on September 13th. http://steamcommunity.com/games/8850/announcements/detail/606114300066920422 If you somehow missed BioShock, BioShock 2 and BioShock Infinite they are all coming out soon in one remastered collection featuring some really impressive looking graphical updates you can see featured in the video embedded above. The trailer focuses more on the graphical updates to the original BioShock as I imagine there are few changes they made, if any, to BioShock Infinite. Oh man, watching the video brings up good memories of the first game. I never tried the sequels. > I never tried the sequels. I seriously recommend BioShock Infinite. Maybe it suffers some to the end compared the absolutely amazing pacing of the start to middle but I found the whole experience to be well worth it. The two DLC expansions were great too and they really seemed to just be a continuation of the story of Infinite anyway. Bioshock 2 wasn't received well. The story is okay, but the gunplay was better than the first. Infinite found a great medium (I should hope so after the Dev hell it was in for so long). Personally, Infinite was my favorite. I love Booker and his story. I love the way they implemented everything and successfully incorporated the huge plot twist/reveal. I like how they ended it, and I loved how the DLC's tied the entire series together, back to the first game. I might wait for the price to drop on the bundle. I know you are getting a lot for $59.99, but it still seems like a lot. Plus I have a ton of other games to play. If you have them on PC you will get the upgrades for free, so that might help. > I might wait for the price to drop on the bundle. I know you are getting a lot for $59.99, but it still seems like a lot. Plus I have a ton of other games to play. Like Travis said, you get some amount of this free if you already own the games previously. 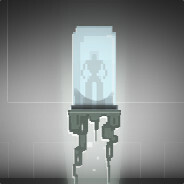 PLUS the price for this will go down considerably over time, like with all games. I'm waiting on lots of games to drop price before I buy them. Pretty sure that's how i'll buy most of my games from here on out. Bundles or huge savings unless it's a game I need to have on launch which seems to be becoming less and less. > Bundles or huge savings unless it's a game I need to have on launch which seems to be becoming less and less. I am in the same boat. To me gaming has reached a point where a lot of games made today will still feel fresh tomorrow. > ... a lot of games made today will still feel fresh tomorrow. I finally actually checked out the comparison video. It's nothing groundbreaking but it's quite nice. Everything just looks a bit sharper and has better lighting. I imagine they're using the console footage on Bioshock for comparison. It looked lower res in the comparison video, but you could run it in 1080p on PC. Still, I'm looking forward to seeing the shiny coat of paint! This definitely makes me want to revisit the Bioshock universe! It'll be a good excuse to actually play through Bioshock 2. I've not played BioShock (I know, I know), but still greatly enjoyed, and was greatly creeped out by, this parody of Under The Sea from the Little Mermaid. I've not played BioShock (I know, I know), but still greatly enjoyed, and was greatly creeped out by, this parody of Under The Sea from the Little Mermaid. That was fun, thanks for sharing. With that, his breathing during the song was really distracting. I'd have cut that out of the video. Bumped this to main to get a bit more visibility on it. Bioshock teaser turns out to be BiOShock. It seems the apple in this teaser that was released recently is Apple Inc. as the news is out today that Bioshock is coming to iOS. Get it, BiOShock? Hahahahaha I'm a riot. The original Bioshock finds a new home on newer iPads and iPhones. Touch controls replace the familiar keyboard and mouse or controller schemes of old. Destructoid found them capable until you get into combat situations, where the weakness of the touch controls shows itself. It does have compatibility with the various controllers released for iOS devices, so if you have one of those, you're all set. 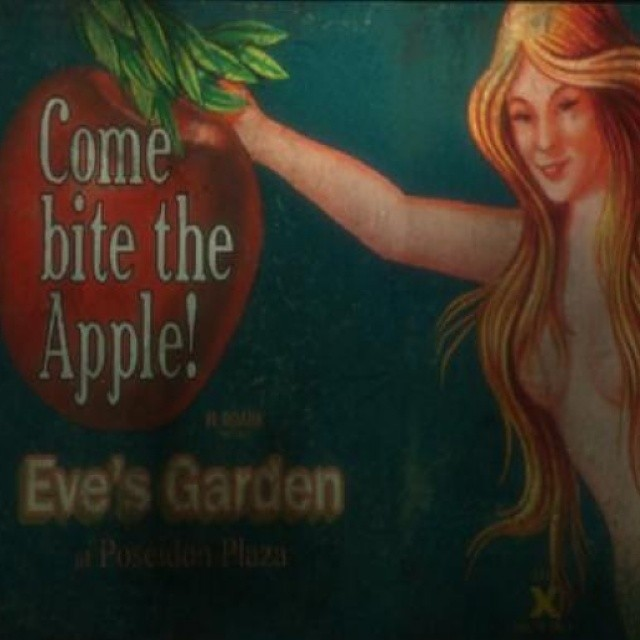 ... Read All It seems the apple in this teaser that was released recently is Apple Inc. as the news is out today that Bioshock is coming to iOS. Get it, BiOShock? Hahahahaha I'm a riot. Interesting. I might look at getting a bluetooth iOS controller as a few games now support it that I own. One of the benefits is that good ones should work on multiple smartphones so there is no iOS vendor lock-in. I wonder how much the final cost will be? BioShock is one of those games that builds a world you feel immersed in from the start. Playing the game I really got into the character and mood of the game and it was very creepy. As far as the start to a game goes, BioShock does it better than most ive experienced. I started with the PS3 demo and then was given the full meal deal from a friend on my cake day. 100% full disclosure, ive never completed it. I haven't completed it because I can only play it in 10-20 minute increments. The game looks fantastic, has a interesting plot device and the game mechanics are good its just that ... I don't want to exist in that world doing that stuff very long. I find it... Read All BioShock is one of those games that builds a world you feel immersed in from the start. Playing the game I really got into the character and mood of the game and it was very creepy. As far as the start to a game goes, BioShock does it better than most ive experienced. I started with the PS3 demo and then was given the full meal deal from a friend on my cake day. 100% full disclosure, ive never completed it. I haven't completed it because I can only play it in 10-20 minute increments. The game looks fantastic, has a interesting plot device and the game mechanics are good its just that ... I don't want to exist in that world doing that stuff very long. I find it interesting enough, the political flavor and spin, its just that I don't want to be in a game world where bloody ranting lunatics are trying to kill me every waking second. The game is like a Halloween Haunted House for most of the game it seems and my personal style dictates I only visit Haunted Houses on occasion. Its unfortunate because this game has such a strong following and they have said how rad the entire game was and the story that took them through it. Then again, I will most likely finish the game, it will just take me 50,000 10 minute sessions. Anyone interested in SkyoShock aka BioShock Infinite? That game doesn't look quite as "psycho clown circus" but it does seem to still have some insane elements. I know what you mean. I've gone about half way through BioShock I and BioShock II. After a while the atmosphere just makes the game unenjoyable. Not that I'd change it. It is supremely executed, I just find that I want less and less to pop it back in to the XBoX.